However, circulated 90% silver coins are still traded as an investment product around the world. These coins are sometimes referred to as “junk silver” because they are in circulated condition, but make no mistake: they are a wise investment, indeed. If you put away a paper $10 bill in 1965, you’d still have $10; but a roll of pre-1965 Washington quarters is now worth many, many times that! 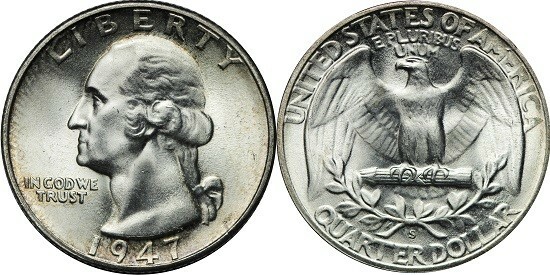 These Washington quarters might look familiar, as the design has been continually produced since 1932. 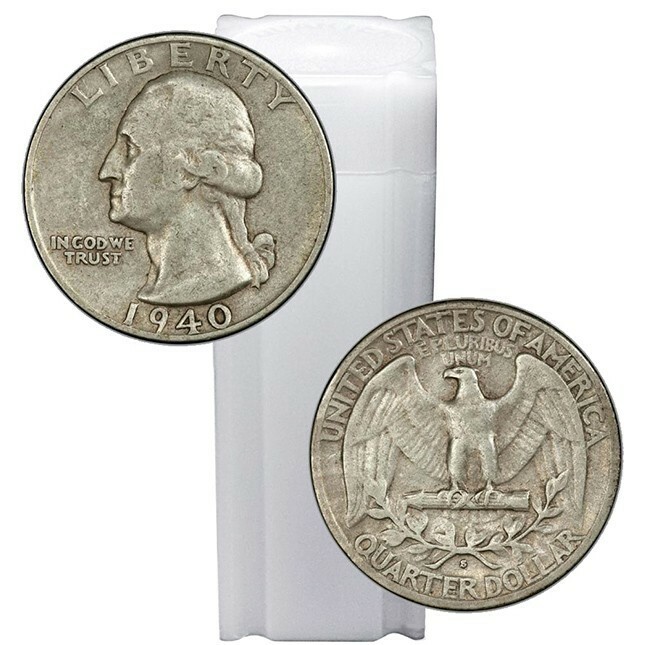 However, all of these 90% silver quarters are now more than a half century old! They were only produced until 1964; circulation quarters made from 1965 on do not contain any silver. John Flanagan’s design was introduced for George Washington’s 200th birthday. Mintages in the first few years were low due to the Great Depression, but the Washington quarter quickly gained in popularity and is now one of the most recognizable American coins. 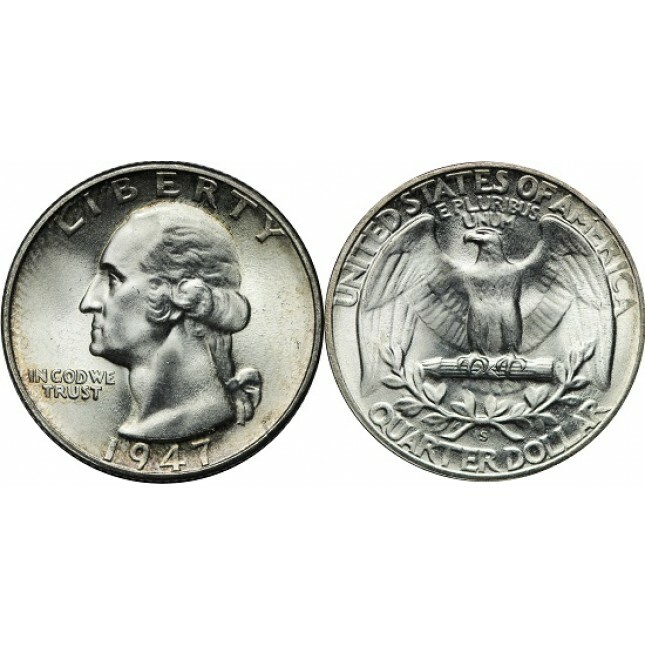 Each 90% silver Washington quarter contains a little under one-fifth ounces of pure silver.